They can choose their songs just like they would on an iPod or Android device. The system works by connecting to the boat’s Ethernet network and the Furuno software with the Fusion-Link interface. The Auto Volume feature is very practical. It adjusts the volume of the music playing based on how fast the boat is going, so as the motor gets louder so does the music. The Fusion-Link sells for around six hundred seventy-five dollars. The Panoptix is perfect for boaters who spend time in shallow waters. This device lets its users see what’s going on below the surface. The RealVu 3-D Forward will create a live video that displays fish and can even detect and show fishing lines. It can produce a sixty-degree view of what is happening live beneath the ship. It’s important to note the Panoptix is not for deep sea fishing as it can’t pick up anything below three hundred feet. The average price for the Panoptix with a PS31 transducer is two thousand three hundred ninety-nine dollars. 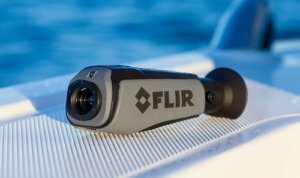 Flair’s latest night vision thermal camera is called the Ocean Scout II, and it comes in two models. The cheaper version has a 240 x 180 resolution and costs around two thousand dollars. The more expensive version has a 320 x 240 resolution, and it lets users watch their videos in live action. Because of the better quality and extra features, this one costs around three thousand dollars. It’s very useful at night for anyone planning to sail in dangerous waters where crocodiles or alligators are known to lurk. The Helix 7 series is a compact format fish locator that stands out from the rest because of its smart innovations. The screen is wider than the average model, colors are more brilliant, and the display screen is excellent. Since some brands can be hard to read during the day, the Helix 7 can be much more beneficial according to Marine Product reviews. The screen can be either dash or gimbal mounted with a kit. 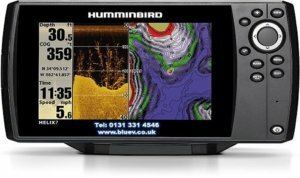 The Humminbird retails for around seven hundred dollars. The Navionics SonarChart Live uses wireless connectivity to transmit sonar recordings that can build a data archive of its users fishing excursions. 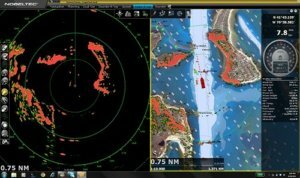 It costs between ten and fifty dollars to install Navionics Boating app on a smart phone or hand-held tablet, and once installation is complete, the electronic device is transformed into a portable sonar system. 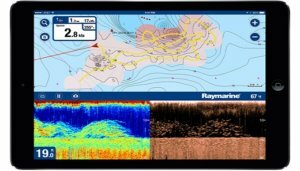 Tablets are the preferred choice when wanting to use the split screen option where fishers can see both sonar and charting information at the same time. This device will allow boaters to see below them at depths of two hundred forty feet or above and costs just under two hundred dollars. This sonar system is castable and is perfect for small watercrafts like kayaks or canoes. The SonarPhone T-Pod weighs a mere four ounces, so even the-the thinnest of spinning rods can cast it far away from the vessel. There’s no need to throw it over one hundred feet away because the SonarPhone T-Pod can only transmit clear footage from three hundred twenty-eight feet away at maximum. Fishers can attach the phone to their wrists so they can watch everything picked up by the sonar in high quality. 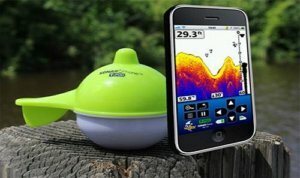 It’s a great fish finder for those enjoy fishing slender river banks or under docks where fish sometimes congregate. It produces a thirty-degree field of view and transmits its full-color pictures via WiFi to most all smart devices. If there are many boaters on board, they can watch the transmissions on their phones simultaneously. It can deliver fishers a view from depths of up to one hundred twenty feet and costs around one hundred thirty dollars. The 3.7 Volt battery has a four-hour duration, after that it will need to be recharged. 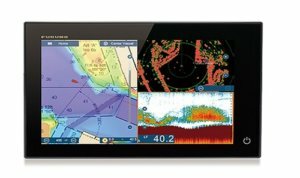 The ease of use is what attracts professional fisherman and sports fisherman similar to the TZtouch 2. It is available in two sizes of display screens. One is twelve inches and the other measures fifteen and a half inches. Users can swipe their screen down from the top to reveal the display options. Boaters can use this touch-swipe feature to access all types of tools on the device. 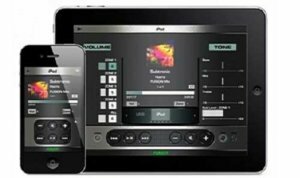 The price of the Furuno TZtouch 2 varies widely depending on the features the particular model comes equipped by. Online prices range from two thousand eight hundred fifty dollars and four thousand three hundred dollars. Keep in mind the high prices demonstrate the high quality which Marine Product reviews indicate. This high tech device is one part fish finder and one part chart plotter. If the boater finds a sweet spot where the fish are always lurking, he can mark the waypoint and the software will save it for him to return when he wants. 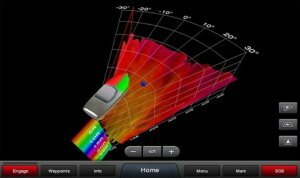 The Lowrance StructureScan 3D is on the market for one thousand four hundred thirty-nine dollars. 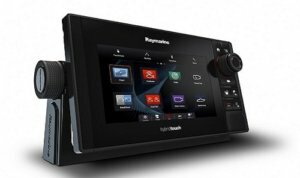 This is an improvement of Raymarine’s popular e-Series. The eS Series incorporates the LighthouseII operating system. There’re three different versions with multiple size screen displays. There’s a seven, a nine, and a twelve-inch version and all use HybridTouch controls. The seven-inch version costs around one thousand seven hundred ninety-five dollars and the nine and twelve-inch ones range between three thousand three hundred ninety-five dollars and four thousand seven hundred ninety-five dollars. This product uses Nobeltec’s TimeZero Trident Software with WiFi detector engineered by Furuno. It can run on any smart device and costs just under four thousand dollars. The Nobletec and Furuno PC radar can estimate a tracked objects course through the water and notify its user if there is the danger of impact ahead. Anyone hoping to get long range and close range detail can get what they are looking for on this amazing device. 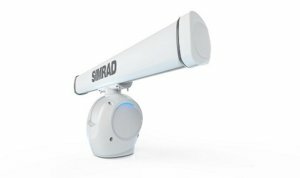 The Simrad HALO has a six foot and a four foot model of this Broadband Radar system. The four-foot model is being sold for around four thousand five hundred eighty-five dollars, and the six-foot version is being sold for five thousand one hundred fifty-five dollars. 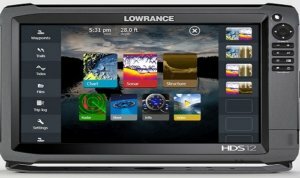 The Lowrance HDS Gen3 comes in three different screen sizes and thus has three different prices. The seven-inch display costs two thousand one hundred ninety-nine dollars; the nine-inch display rate is three thousand two hundred ninety-nine dollars, and the twelve-inch display is selling for around four thousand four hundred ninety-nine dollars. It’s the outstanding cartography that sets the Lowrance HDS Gen3 above the rest. 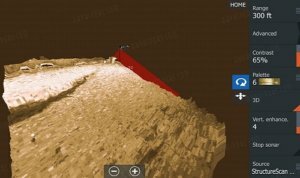 Underwater landscapes can be displayed in 3-D, depending on the setting the user selects.